Introduced in fall 2014, the Explorer 5500 is the newest all-terrain crane in the Terex® Explorer series combining power and roadability for worldwide operations. Offering unmatched versatility and compact size, the Terex® Explorer 5500 is adaptable for road regulations in various key markets. With a lifting capacity of 130 tonnes (140 US tons), the Terex® Explorer 5500 is built for economic viability and low operating costs. 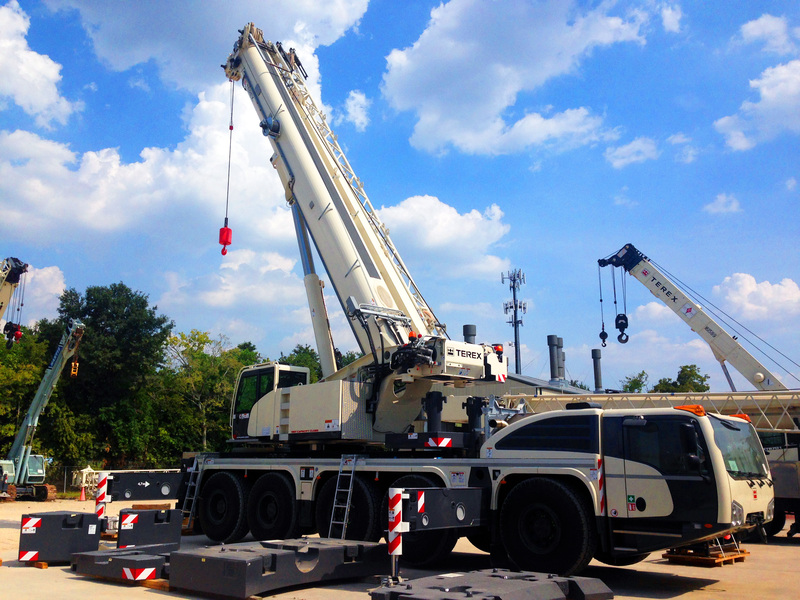 With the ability to travel at highway speeds, this all terrain crane is easily deployable between various job sites while its crane components can be transported using a single standard support vehicle. Great for rugged terrains and applications where swift transport is necessary, the Terex® Explorer 5500 removes the need for transport trucks and is quickly operational using its automatic counterweight setup system. With best in class logistics, it can be used in a variety of climates and conditions.